Form a well with the flour on an open counter surface. Crack both eggs into the center of the well and sprinkle with salt. With a fork, scramble the egg yolk and slowly start working small amounts of flour into the egg mixture being careful not to break the barrier of the well. 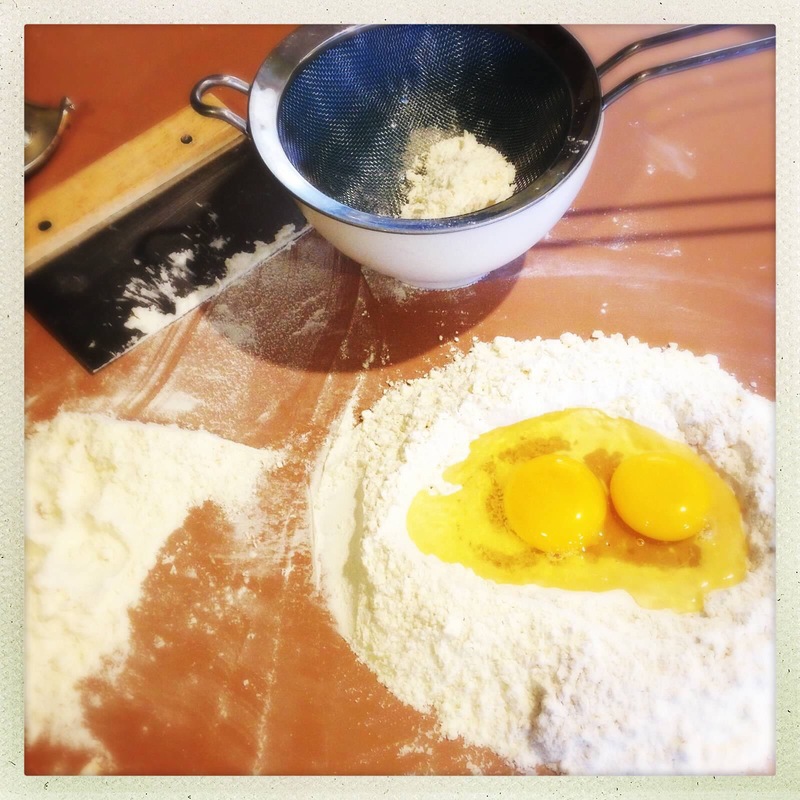 Once enough flour is incorporated into the egg mixture so the eggs won’t spread onto your counter, begin using a bench scraper to incorporate more flour into the dough. Once enough flour is incorporated into the dough so it’s not too sticky, begin using your hands (you may not need to use all of the flour). 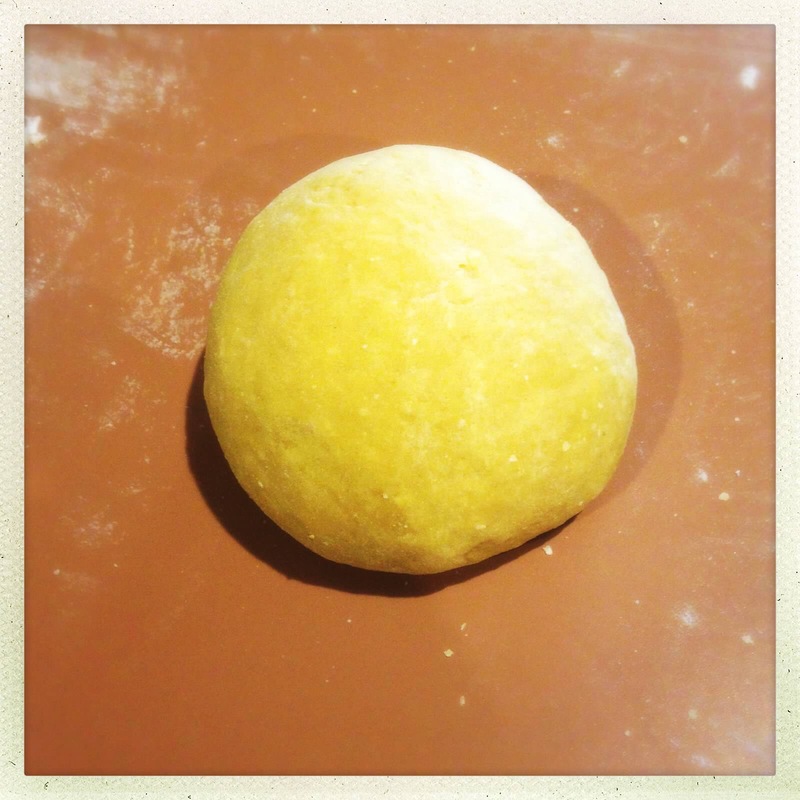 Knead dough for approximately 10 minutes until it comes together into a smooth ball. The kneading process is important for activating the gluten in the dough which will give the pasta a tender, chewy texture so be sure not to cut this process short. Once dough is formed, cover in plastic wrap and allow it to rest for 30 minutes. Once rested, roll the pasta dough into sheets with a pasta roller (I have an Atlas pasta roller and highly recommend it!). 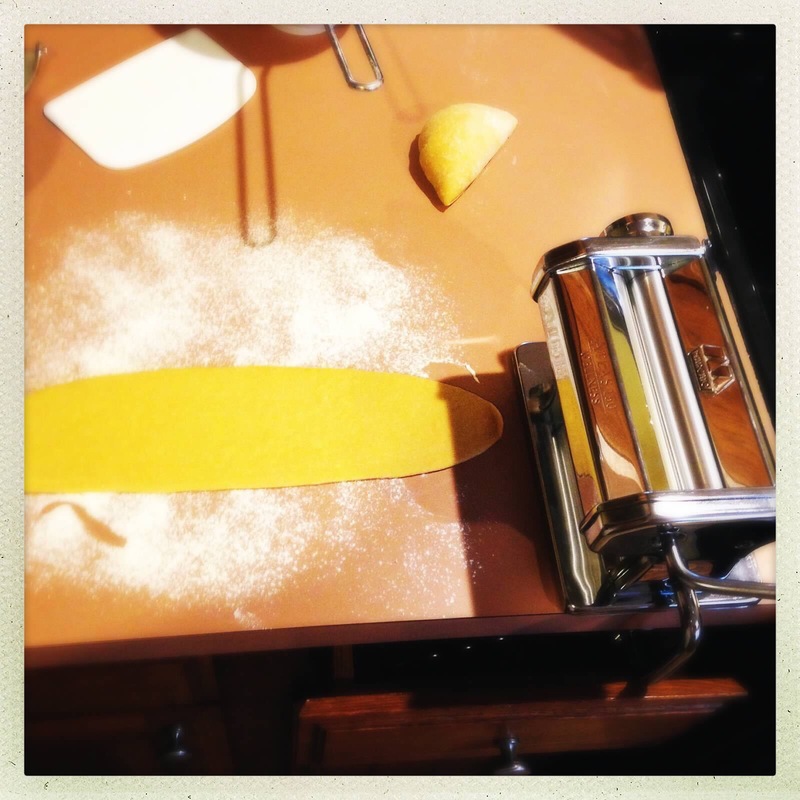 Once pasta is rolled, you can cut into various shapes, use the pasta roller to make noodles like spaghetti or linguini, or fill to make ravioli or other stuffed pastas. Cook fresh pasta in salted boiling water until it is tender and rises to the surface, usually about 3-4 minutes.